There were two markets in which New York Central had a unique advantage; a secondary main line to Chicago through subsidiary Michigan Central/Canada Southern that ran via Buffalo and Detroit through southern Ontario and direct service to Boston through its control of the Boston & Albany. While NYC dispatched a number trains on this route the New England States was considered the best (although it did not operate through Ontario). It first joined the timetable during the Great Depression and eventually boasted all-lightweight equipment and fine accommodations despite the circuitous main line of the B&A. As patronage ebbed after World War II the train lost many of its once popular amenities and eventually lost its name by late 1967. Today, Amtrak's Lake Shore Limited still serves this corridor. 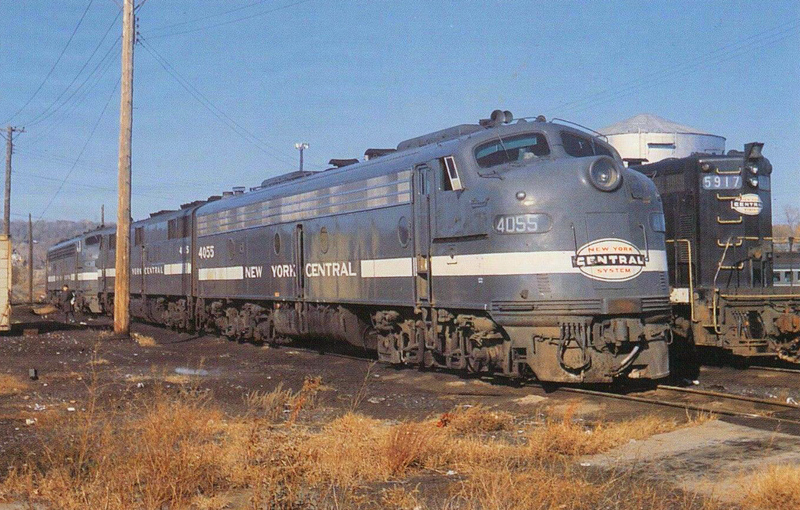 According to Geoffrey Doughty's book, "New York Central's Great Steel Fleet: 1948-1967," the earliest history of the New England States began merely as the Boston section of the 20th Century Limited that had been running since the flagship first entered service in 1902. However, this practice ended with the inauguration of the New England States during the 1930s. The new train was listed as #27 (westbound) and #28 (eastbound). The NYC considered it the top service on its Chicago-Boston corridor with other notables including the Berkshire, Interstate Express, New England Wolverine, North Shore Limited, Ohio State Limited, and Paul Revere. From the outset the New England States was listed as all-Pullman, according to Craig Sanders' book, "Limiteds, Locals, And Expresses In Indiana, 1838-1971." However, for its first several years the train operated with heavyweight sleepers albeit did not charge extra-fare. However, that changed in 1949 when new lightweight, stainless-steel equipment from the Budd Company arrived, completely transforming the train. The cars were part of a massive 720-car order NYC had placed before and after the war to continue its quest in upgrading its passenger operations and the famous "Great Steel Fleet" in an effort to stop ridership losses experienced before the conflict broke out. The train's new consist included the following (according to the railroad's 1950 timetable); a baggage/dormitory, observation-lounge-sleeper (5-double bedroom/buffet), lounge-sleeper (6-double bedroom/buffet), five through Chicago-Boston 10-roomette/6-double bedroom sleepers, twin-unit diner, reclining seat coaches (all reserved), and a diner-lounge-coach. 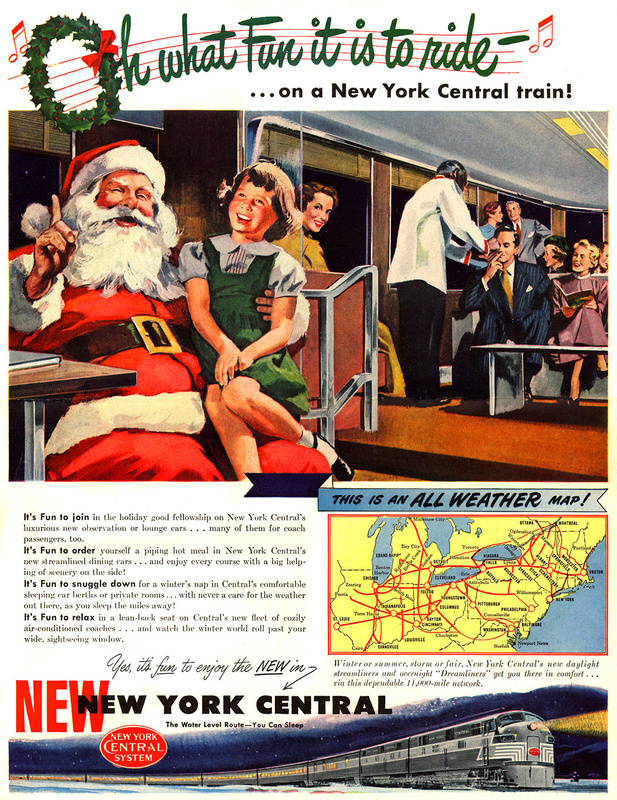 Following the New England States' new status as a complete streamliner NYC began prominently displaying the upgrades through advertisements. One particular piece from July of 1949 mentioned the following: "The new New England States, now complete from diesel to observation lounge! Its an all-private-room Dreamliner...with rubber-foam mattresses and circulating ice water in every room...an enclosed lavatory for every double room or suite! There's a new stainless steel diner, perfect setting for the royal meals of hospitality of the New England States. And there's a luxurious observation car for refreshments and relaxation...Eastbound or westbound you sleep on the smooth Water Level Route and see the picturesque Berkshires by day...on your way between the Heart of Chicago and the Hub of New England." Mr. Doughty notes that the sharp curves and stiff grades over the Boston & Albany through Massachusetts precluded train speeds from reaching higher than 65 mph (and then only in a few locations) while most of the corridor was limited to just 50 mph. The NYC found that its fleet of Alco PAs worked wonderfully in this tough terrain while Electro-Motive's ever-reliable E units also did well on the route. Leaving Boston's South Station at 2 PM westbound #27 would arrive in Chicago the following morning at breakfast just before 8 AM. Its eastbound counterpart would slip away from La Salle Street Station at 2:30 PM in the afternoon and return to Boston the next morning at just after 9 AM. Throughout the course of its history, especially in the postwar years its schedule more or less remained the same and changed only slightly. During the latter half of the 1950s several consist shakeups came to the New England States as ridership continued its downward trend. In October of 1956 the train lost its observation-sleeper-lounge but a year later in 1957 acquired a tavern-lounge. During October of 1959 it was equipped with a new 24-roomette/8-double bedroom sleepercoach, another Budd-built product that matched the other stainless-steel cars; others would later join the consist from rebuilt 22-roomettes of the Harbor-series. By the fall of 1960 the NYC's declining interest in passenger operations was apparent as the railroad no longer bothered to match its equipment with a uniform appearance. 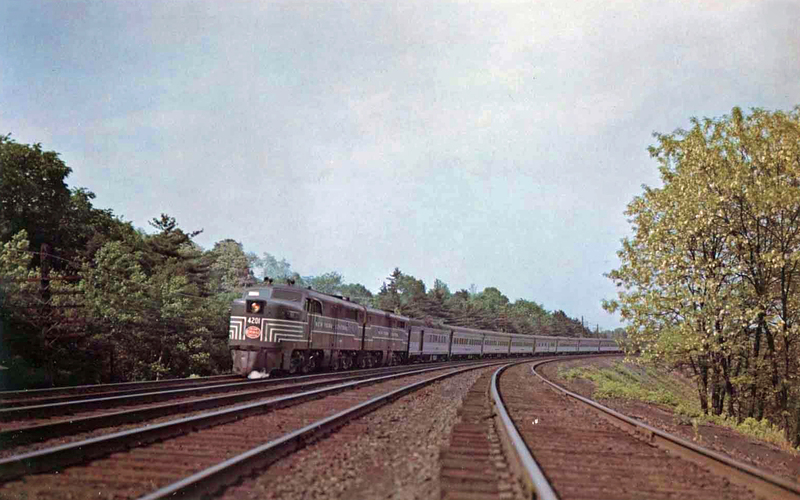 By the middle of the decade the New England States was carrying only a single sleeper in each direction. It lost its name on December 3, 1967 but the route survives today as Amtrak's Lake Shore Limited.